Champagne is a region of France, and only wines which come from this region can properly be called "Champagne". Similar drinks from California, Massachusetts, and the rest of the world should be called "sparkling wines". Champagne's signature bubbles were included by accident! Back in the 1700s, wine was supposed to be flat, like most wine is today. Bubbles were an error in the process, and the monk Dom Pérignon worked hard to remove them. Instead, he found methods of blending and clarifying the drink, and soon it was sought after by French aristocracy. The rest, they say, is history! The Champagne market is extremely cyclical. Normally 50% of all Champagne is sold from January through the end of November. Then, 25% is sold up until Christmas Day. A full quarter of all Champagne sold is sold during that final week between Christmas and New Years! Originally made in Greece and Bulgaria, BelGioiso brings Kasseri cheese wedges to your table using whole cow's milk and cultures sourced from the heart of America's dairy capital, Wisconsin. Using the same process that generations of farmers have used, BelGioiso brings out the finest flavors of Kasseri cheese. 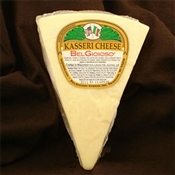 With a firm, smooth texture and piquant flavor, Kasseri cheese can be sliced or crumbled over appetizers or dinners to add a mix of sharp and savory. Kasseri cheese will hold its shape, so you can cook or gently sauté it for a mild, smoky taste and mix with olives, tomatoes, cucumber, pickles or cured meats to make tasty party appetizers. 2007 American Cheese Society 1st Place Winner in the Fresh,Unripened Cheese made from cow's milk! BelGioioso crafts real Mascarpone cheese in the U.S. the same way it has been made in Italy for generations. Starting with fresh milk from local Wisconsin dairy farms, Mascarpone cheese is churned and blended into a soft, spreadable texture to make delicious desserts, mix into coffee, spread over bagels and more. 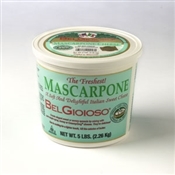 With a slightly sweet, creamy texture combined with the savory taste of mild cheese, BelGioioso Mascarpone cheese spans the entire menu, from appetizers to desserts and breakfast to dinner. Make a savory dish soft and creamy by blending Mascarpone cheese into a sauce or stuffing and give tiramisu, tortes and cheesecakes rich, full-bodied flavor with a Mascarpone frosting. CHOOSE A SHIPPING METHOD THAT WILL SHIP YOUR CHEESE OVER ONE DAY. PLEASE VISIT www.UPS.com to see the transit time from Green Bay,Wisconsin,zip code 54311. Ground shipping available for Wisconsin Residents only. This naturally sweet,yet surprisingly light cheese is made from the freshest pasteurized cream. The ultimate dessert cheese,it compliments chocolates,coffee,fruits and liqueurs. Mascarpone is excellent on pasta or as a delicious spread (with just half the calories of butter). This item must not be in transit for more than one day. Ground shipping is available for Wisconsin residents only. 2007 American Cheese Society 1st Place Winner in the Fresh,Unripened Cheese made from cow's milk! This item must not be in transit for more than one day. Ground shipping is available for Wisconsin residents only. 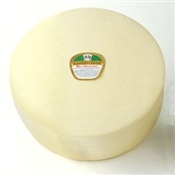 BelGioioso Mascarpone Cheese won 1st Place at the 2007 American Cheese Society in the Fresh, Unripened Cheese made from cow's milk category. This naturally sweet, yet surprisingly light cheese is made from the freshest pasteurized cream. The ultimate dessert cheese, it compliments chocolates, coffee, fruits and liqueurs. Mascarpone is excellent on pasta or as a delicious spread (with just half the calories of butter). Special Order Sizes, when ordered by midnight on Thursday, will be available for shipment the following Monday. This item must not be in transit for more than one to two days in a chilled shipping container. Ground shipping is only available for Wisconsin residents and some nearby states. PLEASE CALL 1-800-717-9020 TO PURCHASE TIRAMISU MASCARPONE. IT HAS REFRIGERATION AND TIME IN TRANSIT REQUIREMENTS. CHOOSE A SHIPPING METHOD THAT WILL HAVE YOUR CHEESE IN TRANSIT NO MORE THAN TWO DAYS. PLEASE VISIT www.UPS.com to see the transit time from Green Bay,Wisconsin,zip code 54311. BelGioioso Tiramisu Mascarpone cheese is specially blended and flavored to bring the decadent flavor of tiramisu to your table, in a soft, creamy spread. Mixed with real coffee and sugar, BelGioioso Tiramisu Mascarpone is a sweet and fluffy cheese ideal for desserts. Dip apples, pears or ladyfingers for a quick, indulgent dessert, spread over top of cheesecake or tortes to add a subtle coffee flavor with a thick cream and add a dollop to muffins or bagels to make a great start to your morning. 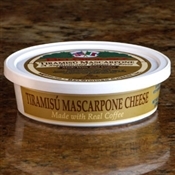 Order BelGioioso Tiramisu Mascarpone cheese 8 oz. cups to try the sweet and savory combination for yourself. CHOOSE A SHIPPING METHOD THAT WILL HAVE YOUR CHEESE IN TRANSIT NO MORE THAN TWO DAYS. PLEASE VISIT www.UPS.com to see the transit time from Green Bay, Wisconsin, zip code 54311.